For me, these first weeks have been all about exploring the city. Coming from NY and NJ it's interesting to live somewhere that doesn't reek of cigarettes and have trash particles imprinted in the streets. Not to say that NY isn't awesome, but Segovia definitely has its advantages. For starters, it seems that the city is very clean. 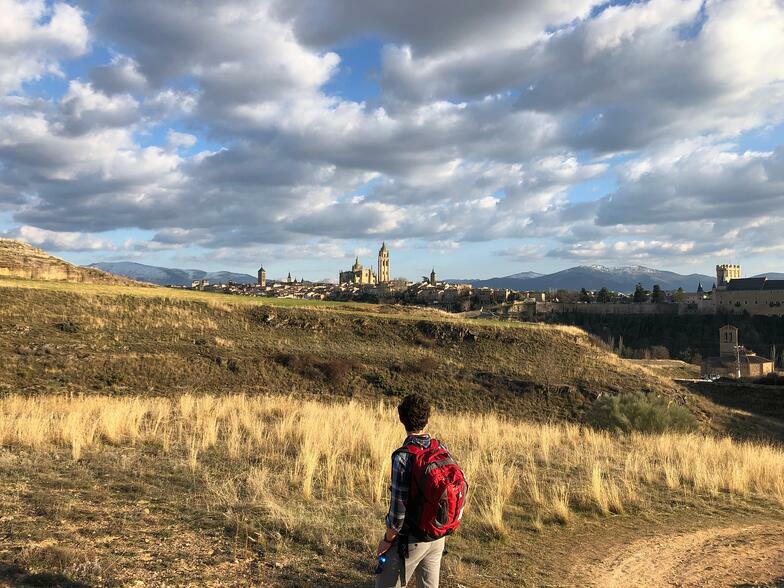 Much of the first afternoons of the spring term in Segovia were spent exploring the old quarter and the running, walking and mountain biking trails that encircle the city. This is the view from Segovia's "climbing wall." Rowan (above) and Frazer (below) demonstrate their skills. Besides the Segovian’s obvious love for conserving their resources, the city itself is actually quite interesting. While Segovia lies in a valley about 1000 meters above sea level, the city itself is actually quite hilly. For example, to get back to school from the gym you have to walk up what seems like the largest and most obnoxious staircase that could have been fabricated. However, besides this obstacle, the elevation of the city has actually allowed for some interesting architectural designs. 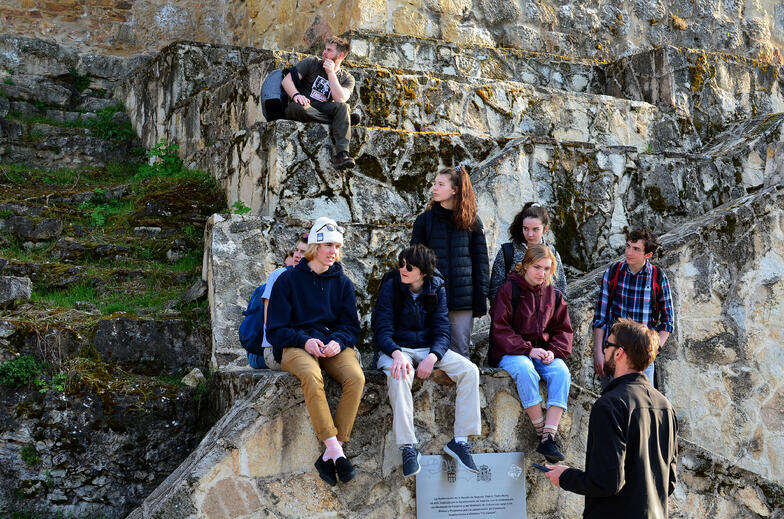 Students competed in teams in an old quarter scavenger hunt / map orientation activity. 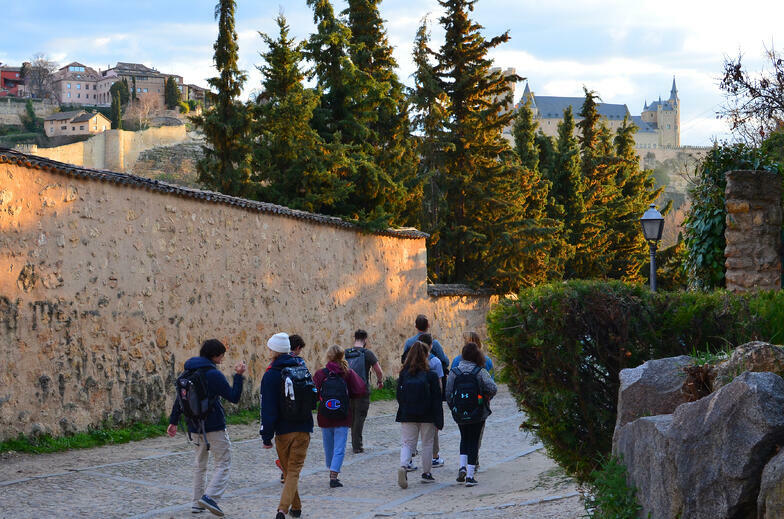 Segovia walks also provide a good opportunity for an introduction to the many eras of history of Segovia (and the Iberian Peninsula). While many cities, such as NY, consisting of long and straight streets, Segovia is more like a maze. While this can be annoying to navigate at first, it became increasing fun. Because the streets of Segovia consists of many turns and old roads, they are very fun to explore. All you need to do is find a street you have never gone down...and then walk in that direction! Last week, almost every night consisted of walking down unknown streets with the group. While this may sound a little dangerous...I assure you there were many people walking down said streets. With the beautiful weather café time is a must! An up-close view of the aqueduct. (Photo credit: Will Hench). 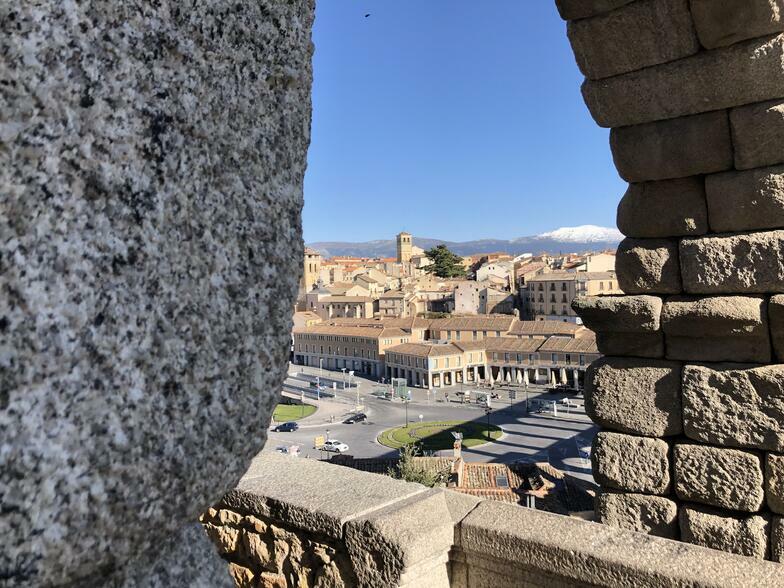 Nonetheless, the cities age is partly to thank for the strange design of Segovia; cobblestone streets, 100-year-old buildings, and of course the churches and castles that seem to be visible from wherever you are. However, the most important of these features is the aqueduct. 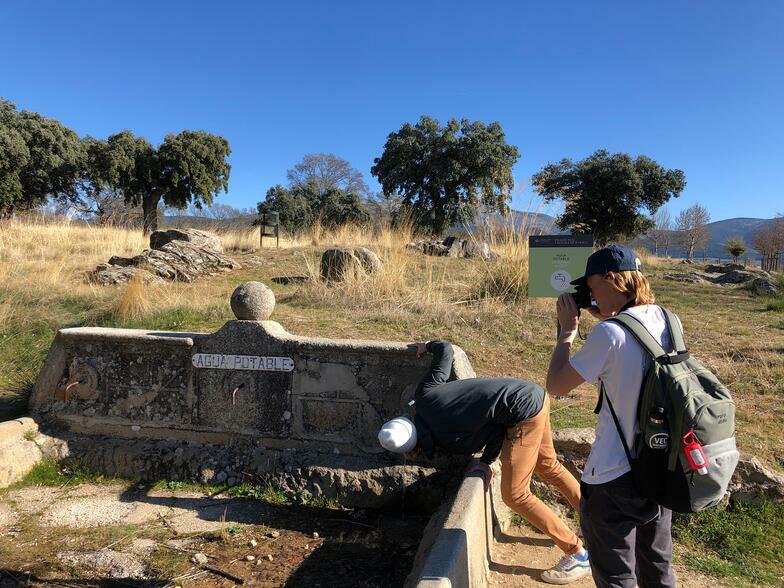 The aqueduct has become one of the staples of adventure in Segovia because wherever we decide to walk to, we ultimately ask the same question when we become tired; “Which way is the aqueduct.” From the aqueduct, we can figure out our way home, to school, to the gym, etc. While it not may be centrally located, it has become a beacon of hope at the end of our journeys, a symbol that we have successfully traveled down another unknown street and made it back. As a group, I believe we have a shared vision of continuously exploring new areas. 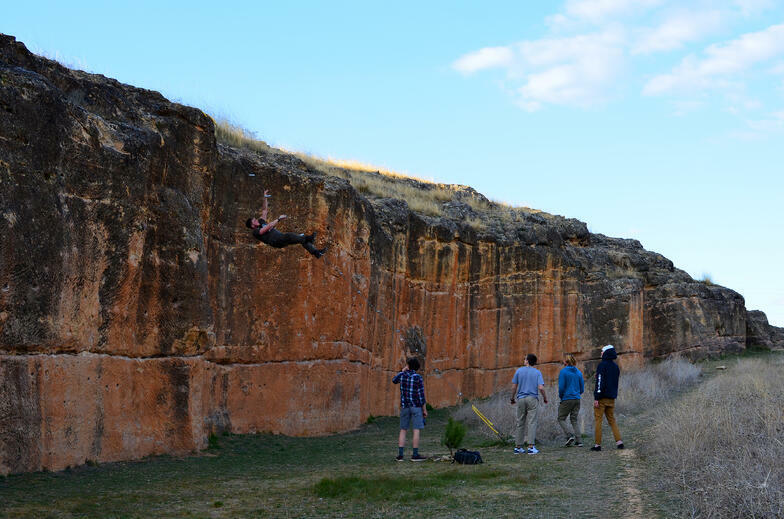 We are extremely excited to journey out of Segovia this weekend to Madrid! 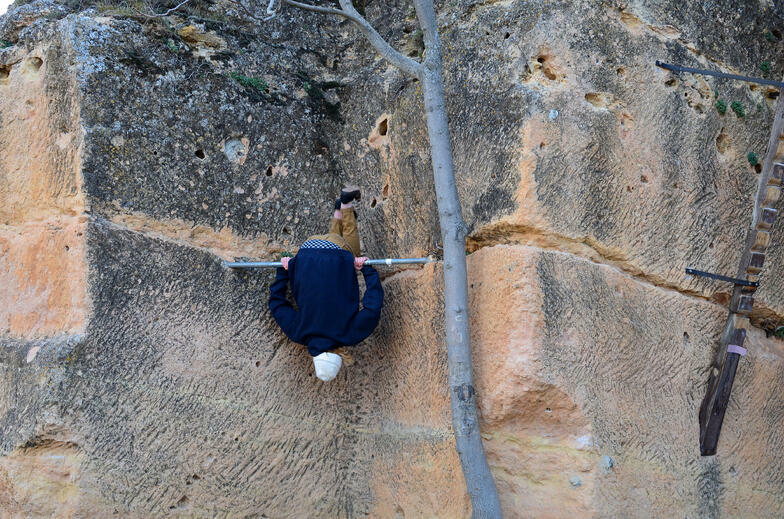 Last Saturday we took our first day trip outside of Segovia. We visited a town called La Granja. 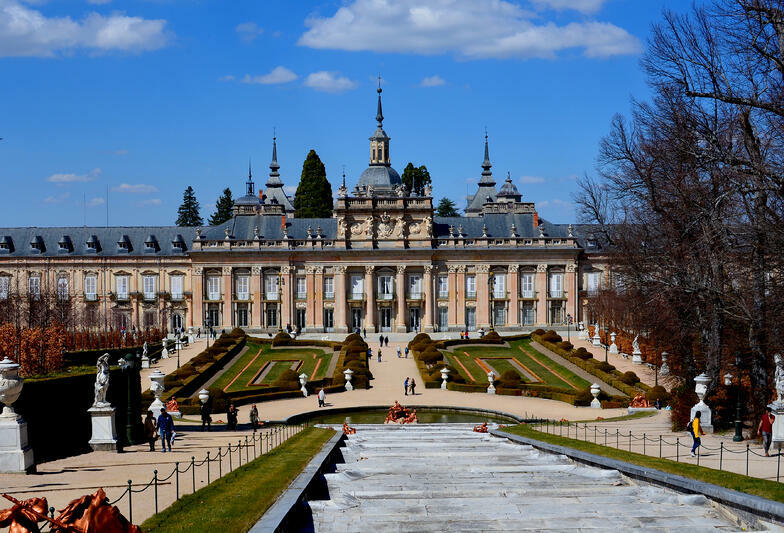 La Granja is a small town about 20 minutes or so from Segovia. For this trip we met at the aqueduct at 11 am allowing us some time to make up on sleep from a tiring first week. 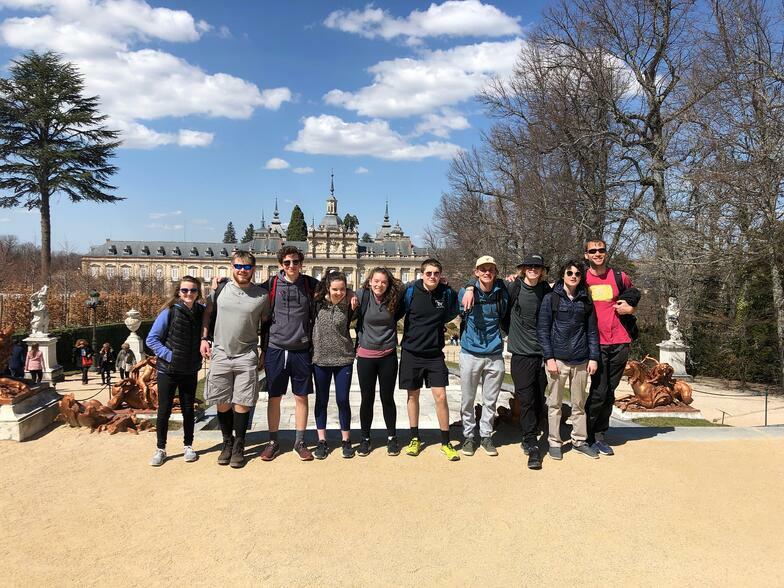 We took a bus from the bus station excited to see El Palacio Real de La Granja and go on a hike up to a waterfall. The drive featured empty farm land, and many beautiful views. 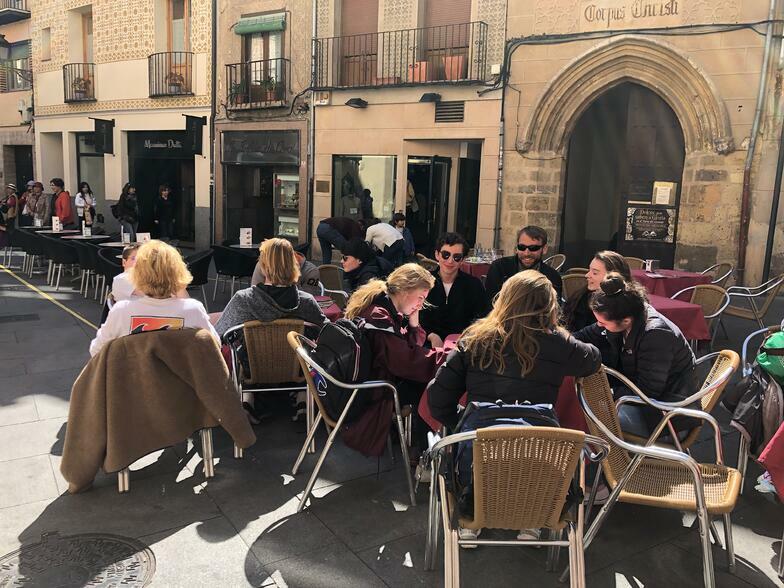 We arrived in La Granja and took a little food break before heading to see El Palacio Real. El Palacio Real was insane. I don't think I have seen a building so beautiful and big. I couldn't imagine the cost of building it. Inside we saw many giant tapestries hung in a hallway, and many massive paintings. Each had a long backstory with lots of history. I felt like I was in a dream. Every single wall was covered in paintings with incredible amounts of detail. This was only one of the eight or more palaces owned by the royal family. The amount of history Ryan taught us, regarding this single palace surprised me. I knew Spain had a long, complicated history, but I never understood the amount of important events that occurred. 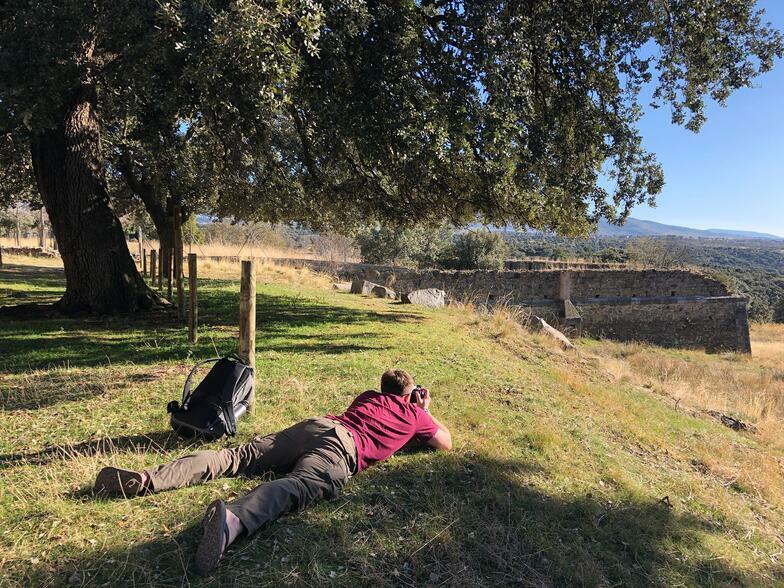 Students visit the grounds and property of another royal palace, Riofrío, during their photography afternoon activity. Positioning for the perfect shot. After about an hour or so, we exited the palace, and got ready for the hike. We walked through a more suburban looking area, and soon passed through a gate saying private land. There we found a beautiful trail that led up the mountain to the waterfall. It was nice to see some untouched, green nature. After being told earlier in the day that Spaniards don't normally walk on the grass in the city, we found some grass we could actually walk on. On our way up we saw thirty or forty cows with massive horns grazing nearby. The further and further up we went, the better the view got. The waterfall continued to get louder and louder as we walked. Soon enough we were able to see the top of the waterfall. Once we reached the bottom, we realized the massive waterfall we had been hoping to see, was much much smaller in person. Ryan was satisfied with the view from the bottom of the waterfall but the rest of the group decided to venture up as far as possible. Ryan told us to scream if anyone fell off of the mountain and told us people have fallen in this area in the past. I think it was a joke, but only he really knows. 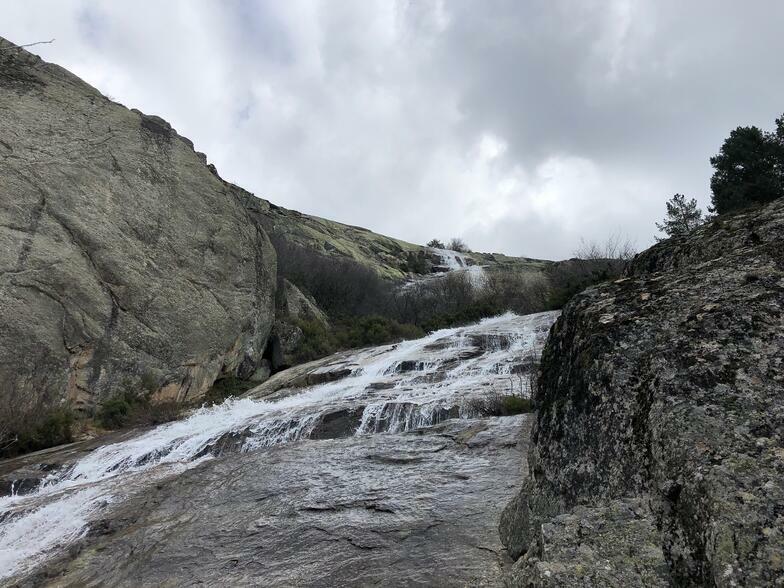 "El Chorro" waterfall near La Granja. 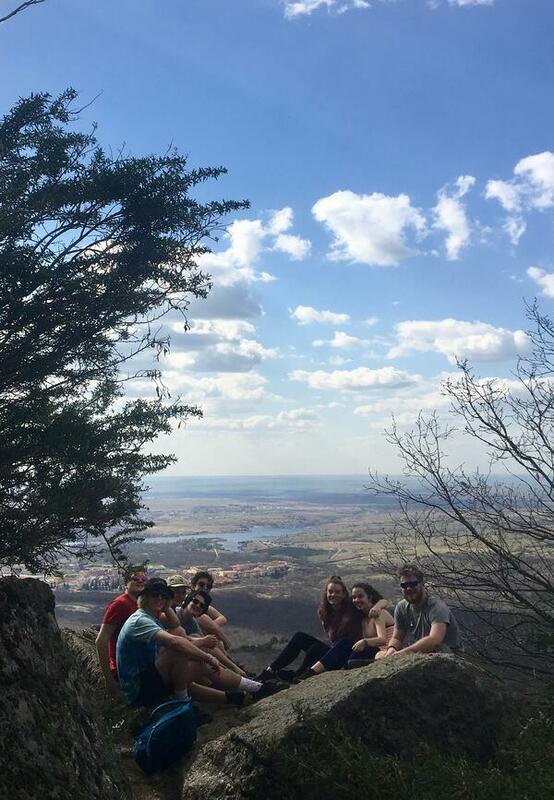 When we reached the top of the trail, we found a rock with a perfect view of the surrounding areas. It is easily one of the prettiest views I have ever seen. After a few photos, and a quick head dip in the glacial water from the waterfall, we began the trek down. Very tired from the hike we took our time heading back. About halfway down I saw a large black mound in front of the group. At first I thought it was a bull, but then I looked and realized it was just a cow with huge horns. Looking to my left and right, I saw the entire herd of cows we had seen on the way up. The cows watched peacefully as we walked by in awe of the massive creatures. The few who had ventured onto the trail ran away as we continued towards them. Luckily these cows were friendly and didn't hate American tourists. 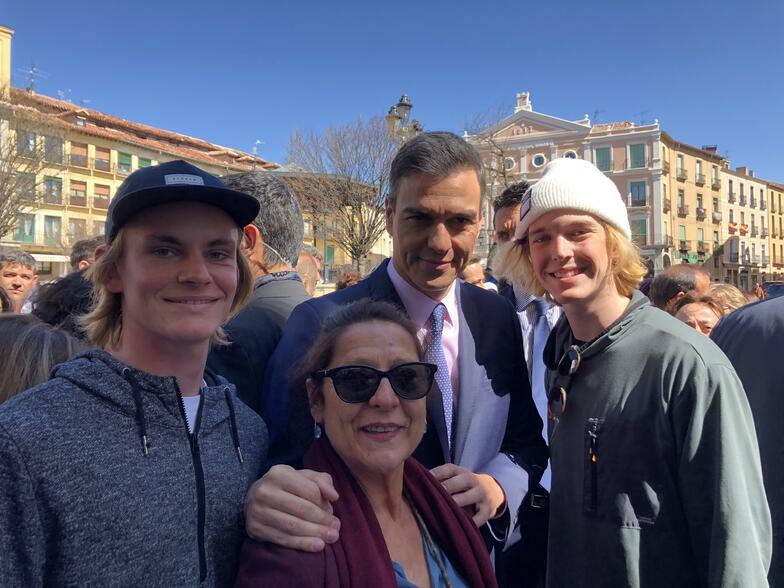 Multiple students were able to take selfies with Spanish Prime Minister Pedro Sanchez on his surprise visit to Segovia — he visited the city hall, Restaurante La Concepción, and walked with Segovia’s Mayor between the Plaza Mayor and the aqueduct shaking hands and taking photos. Here Spanish teacher María José poses with Sr. Sanchez, Johnny, and Frazer. 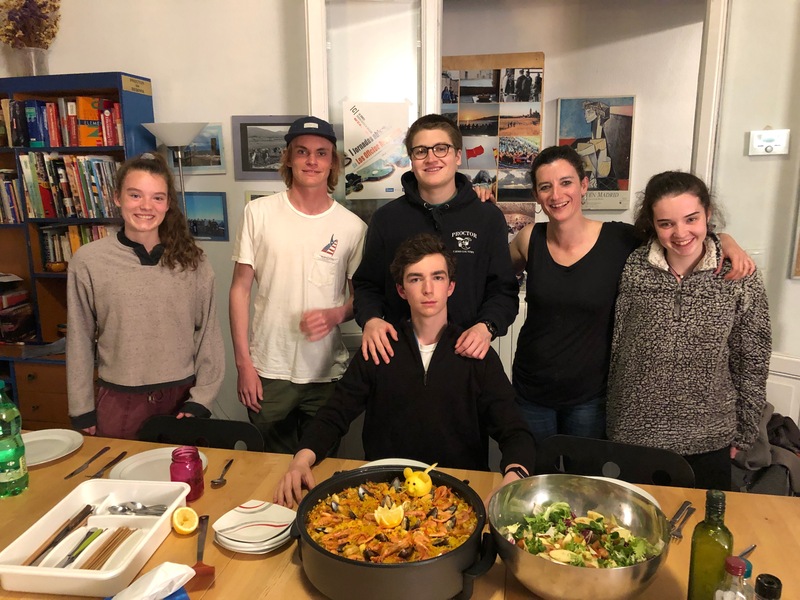 We leave you with our head cooking class chefs and their final product (above). 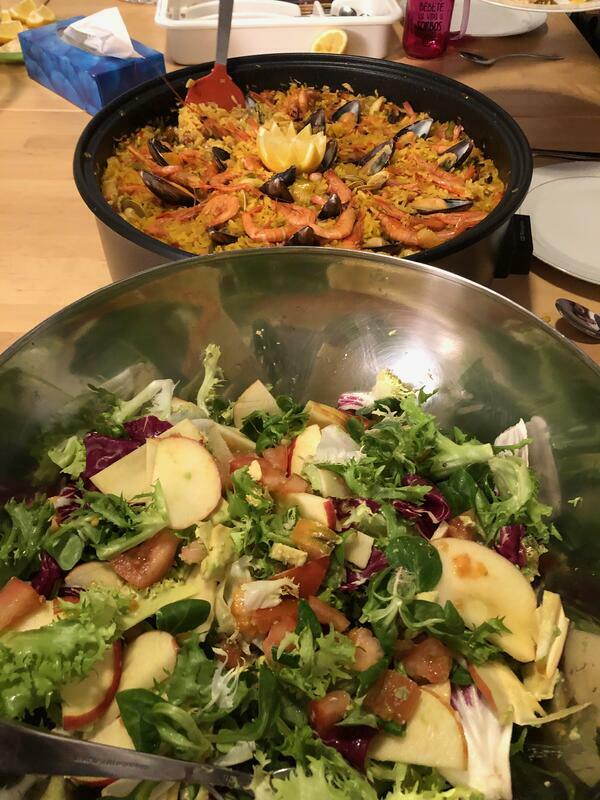 Paella mixta and a delicious ensalada!